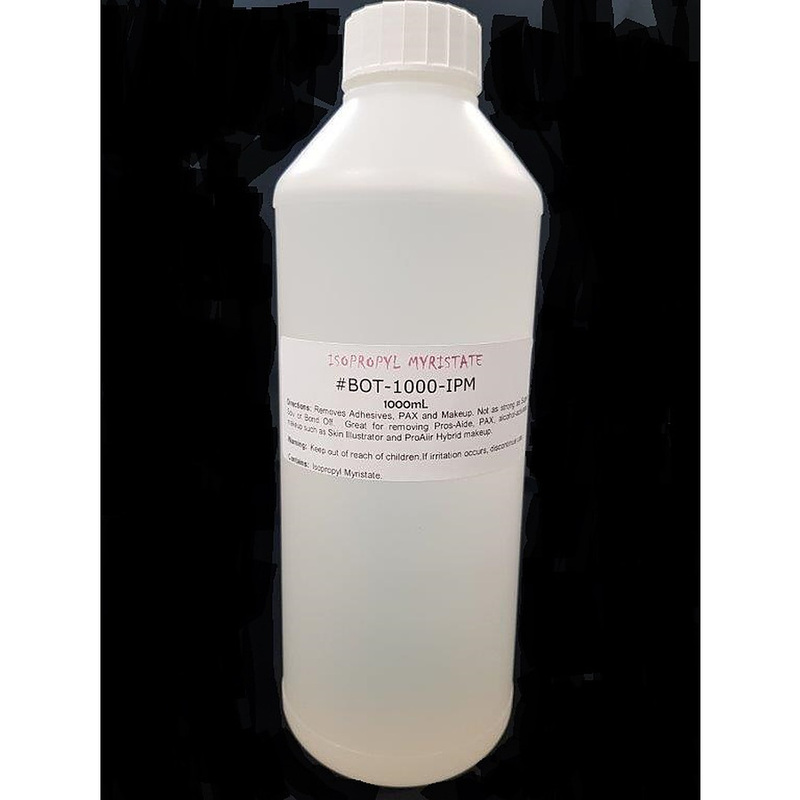 1000mL bottle of Isopropyl Myristate. Great for removing Pros-Aide, PAX paint, alcohol-activated makeup such a Skin Illustrator, ProAiir Hybrid Makeup and waterproof makeup. Not as strong as Super Solv.